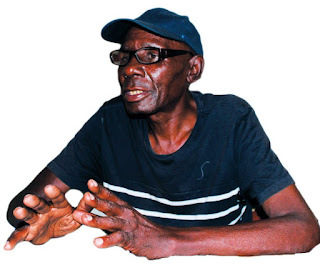 Francis Zimuto, popularly known as Black Jesus – the war veterans leader famed for his one man march to Harare in support of the Land Reform Programme, has died. Sources close to the radical war veteran said he died in the early hours of this morning, Tuesday October 18 2016, at his mother's rural homestead in Mugoni, Gutu district. His death follows the tragic death of another war veteran and local member of ZimPF, Retired Colonel Kudzai Mbudzi. Zimuto was one of the pioneer war veterans to single-handedly invade a white commercial farm in 2000, triggering the Land Reform Programme. He staged a one man march to Harare and carried a cross to the British Embassy, demanding to be crucified unless Britain agrees to bankroll the country's agrarian reforms. He went to war as a young boy in 1973 and later became a member of the ZIPRA command. It is understood Zimuto had been ill for quite some time but the actual reasons of his death could not immediately be established. Zimuto has lately been critical of First Lady Grace Mugabe, telling her she was just a "young girl", whose behaviour was "unmotherly" and in sharp contrast to her predecessor, the late Sally.